For years, I’ve been teaching my bar/bat mitzvah students about time management and focus during studying. So many of my students seem to be stressed out about every day peer pressure and pre-teen angst enough that they don’t really need to freak out more when studying Torah or Haftarah. So I developed a system by which students study for 5-10 minutes at a time, understanding that the brain fills up to a point and then loses focus. It’s like a sponge: Once a sponge has taken its fill of liquid, it can’t absorb any more. It has to be wrung out, dried, and then can absorb more. But like in cross-training, getting right back on that horse after 5 minutes is crucial, so that one’s focus stays centered and grounded. I even made a grid sheet to track 5 minute increments of study and how much break time was spent. It was a great idea that I invented. Two weeks ago, I was looking through the iTunes app store for a timer that would keep track of these study times and breaks. 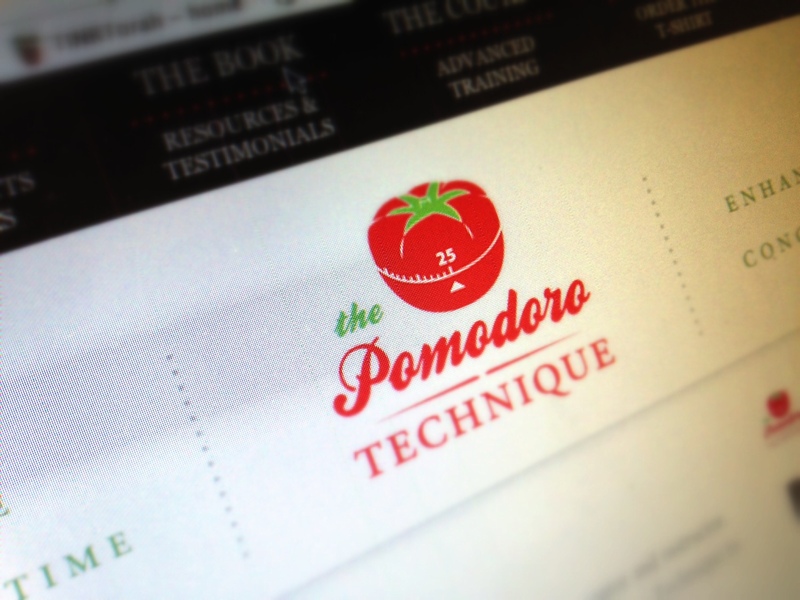 One of the timers had a curious logo: a tomato. “Why a tomato?” I thought. 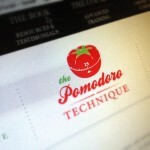 Then I discovered something called, “The Pomodoro Technique.” Turns out that this great idea I thought I had invented was already published back in 1992 by Francesco Cirillo! I was really surprised! But I also felt validated. My main focus in working with bar/bat mitzvah students is not primarily about the Hebrew or prayers; it’s about giving my students life lessons to apply as adults-in-training: How does one become fully responsible for oneself? How does one manage one’s stress, one’s time? How do any of us discover how to be truly authentic and present? These things are living Torah to me. So I’m happy that I discovered on my own that which Francesco created before I started formally teaching my students. I just shared with a couple of my students this story and the technique and hope they’ll go to his websites and discover that what I’ve been teaching them is not some crazy idea I had! I also want to mention one other thing for my students (and anyone else who finds it worthwhile): Metronomeonline.com. Some of my students study waaaaay too fast when studying. I keep telling them to slow down, but they still don’t get it. Going to this website, you can set a metronome, normally meant for practicing music, hear an audible “click,” and that pulse can be set as fast or as slow as you like. I tell my kids to set it to 60. Nice heartbeat pace. So to my students who read this, slow down, breathe, take your time, and follow in the path of the tomato!